Katie Wheelbarger, principal deputy assistant secretary for international security affairs at the Defense Department, has said the U.S. will announce in the next few days that it is ready to use defensive and offensive cyber capabilities in support of NATO if asked, Reuters reported Wednesday. “It sends a message primarily aimed at Russia,” Wheelbarger told reporters. U.K. and Baltic security officials say intelligence shows that Russian cyber attacks are targeting telecommunications and energy infrastructure in Europe. Wheelbarger noted that the move is part of a U.K. government-led campaign to boost the alliance’s cyber capabilities. 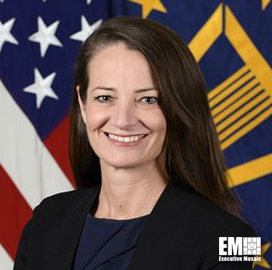 Tags cyber attack cyber capability Cybersecurity Defense Department DoD energy Europe featured govcon katie wheelbarger NATO Russia telecommunications u.k.